State Attorney General Kamala Harris on Friday filed a petition urging the 9th U.S. Circuit Court of Appeals to reverse a ruling — rendered in a San Diego-area lawsuit — that loosened restrictions on the ability to carry concealed guns. In the Feb. 13 decision, the court asserted that San Diego County violated the Second Amendment by requiring people to show “good cause” beyond a mere desire to carry a hidden firearm when applying for a concealed-carry weapons permit. 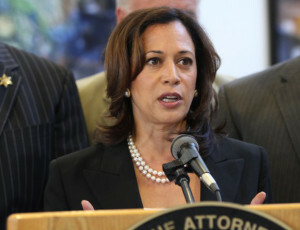 California Attorney General Kamala Harris. Image from oag.ca.gov. Currently, state law requires people to demonstrate a valid reason to carry a concealed gun and gives local law enforcement control over the permit process. If the 9th Circuit’s ruling in Peruta vs. County of San Diego is allowed to take effect, officials throughout the state could be required to issue concealed-carry permits based on nothing more than the applicant’s assertion that they wish to carry a gun for self-defense, according to Harris. San Diego County Sheriff Bill Gore announced Friday that he would not seek further review of the 9th Circuit ruling.